Before Erich became the third founder, Allyn was taking acting classes at UCB with Joy Regullano. The two women knew each other from Philippines Culture Nights at Joy’s alma mater, University of California at Berkeley, and Allyn’s University of California at Davis. 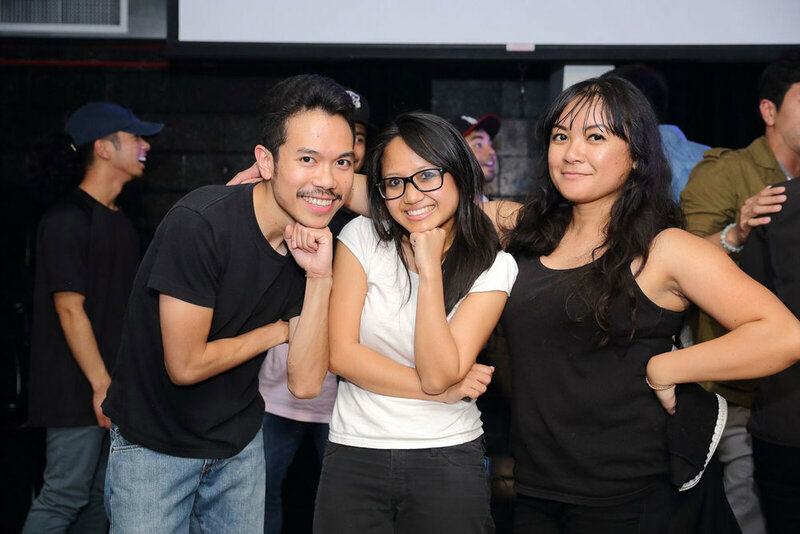 Producers Joy, Allyn and Erich perform sketch humor as part of a rambunctious family of 30 comedians, comedic actors and producers of Filipino descent. On October 5, 2018, Filipino AF celebrated its first anniversary with a free performance, mixing sketch humor, lumpia, standup comedy, short films and dance for over 300 fans at UCB. In a show lasting 90 minutes, Joy, Erich and Allyn were the masters of ceremony playing themselves and comic characters. “Our shows follow a basic template. You put Filipinos in a room together with our house party characters,” says Erich. The societal shift toward inclusion has opened more country clubs, gyms, nonprofit boards and classrooms to diverse populations. The expanded options have also crowded the field of events vying for the consumer’s time and dollars. The competition among entertainment purveyors will grow fiercer as the untapped minority market grows. Asia’s nationalities are as different from each other as their languages. Pride in identity is the other movement transforming society. Filipinos are searching for activities that help them connect with other Filipinos and reacquaint them with their ethnic heritage. With a nod to live television from the 1960s, Filipino AF uses the variety show format to make laughter while transmitting Filipino culture. Filipino AF revels in the accents, cooking, tinikling stick dancing and other touchstones of Filipino culture. This emphasis on a separate identity is embodied in the term “specificity.” “When we perform for a predominantly Filipino audience, it’s always special to have shared specifics. It’s important to cater to the specifics,” Allyn explains. All this social commentary shouldn’t imply that a Filipino AF show is tangled up in ideals. Its shows are fun. Lumpia rolls fly; white boyfriends are mocked; stale jokes get as many laughs as fresh ones; dirty jokes are spit from the mouths of germ-a-phobic Asians who won’t wear shoes in the house; lines are delivered overdramatically and stonily; costumes keep changing, sometimes in plain sight; film shorts wander into uncharted territory, etc. Meanwhile, Allyn, Erich and Joy are always in the wings with their shtick to tame the mayhem. Non-Filipinos are welcome to laugh at their hosts. The uninitiated should realize, though, in Filipino comedy, ridicule is the sincerest form of flattery. Honored visitors mustn’t take themselves too seriously when the cast pulls volunteers from the audience. To Joy, respect for elders is necessary for passing on the culture to young Filipinas like herself. As the only one of the three founders born in the United States, Joy feels the urgency to preserve the culture, to make sure the melting pot doesn’t strain out the Filipino’s nice and uncomplicated sense of humor. Erich thinks Filipinos are used to the frantic pace of a Filipino AF show. Joy calls Filipino comedy “slapstick.” Allyn finds Filipino AF referential. “We’re pointing out strange things in our culture without saying it’s weird or bad,” says Allyn without ever referencing Crazy Rich Asians in the interview. Filipino AF is altogether amazing. The cast invites Positively Filipino readers to see for themselves at their Christmas show at 9:30 PM, December 14th, at Upright Citizens Brigade located at 5919 Franklin Avenue in Los Angeles. 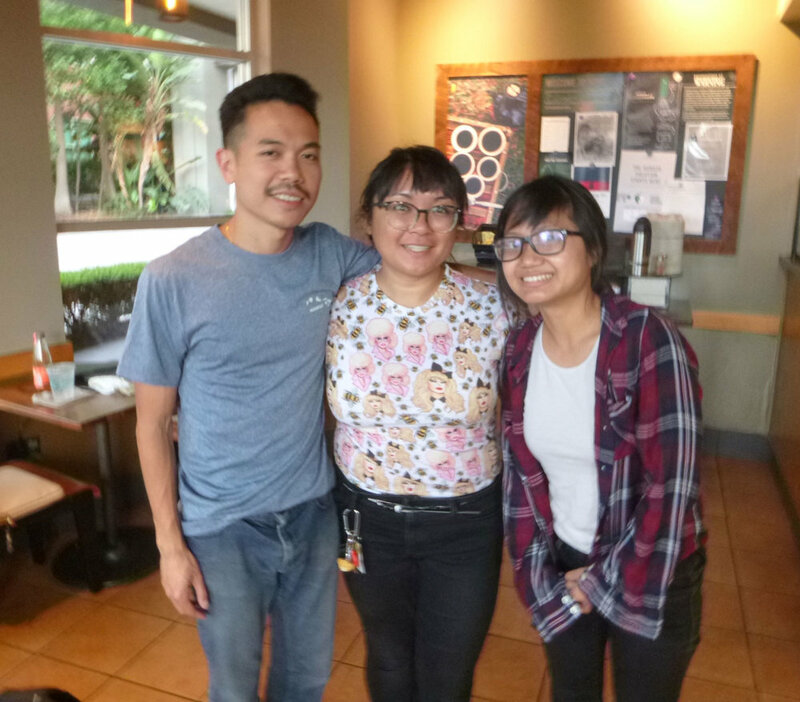 Bay Area can order tickets online to experience Filipino AF at San Francisco Sketchfest between January 11th and 18th. The troupe hopes for a return trip to Hawaii after a critically acclaimed performance in October. Check out what Filipino AF is doing next @filipinoafshow on Twitter and @filipinoaf on Instagram. Anthony Maddela is a Southern California correspondent. He lives with his family in Los Angeles and wishes folks an incredible, memorable Christmas.